It’s really cold outside this morning. I think it’s cold everywhere. 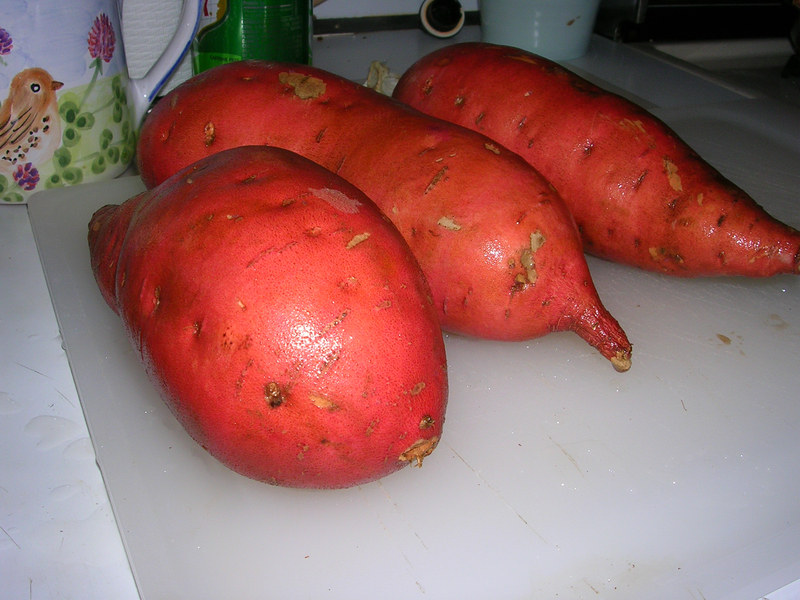 It’s snowing in Maine and probably freezing in Vermont…so tonight would be a great night to whip up some warm, grounding root vegetables, like sweet potatoes, to keep out the chill. Sweet potatoes aren’t just for Thanksgiving anymore. 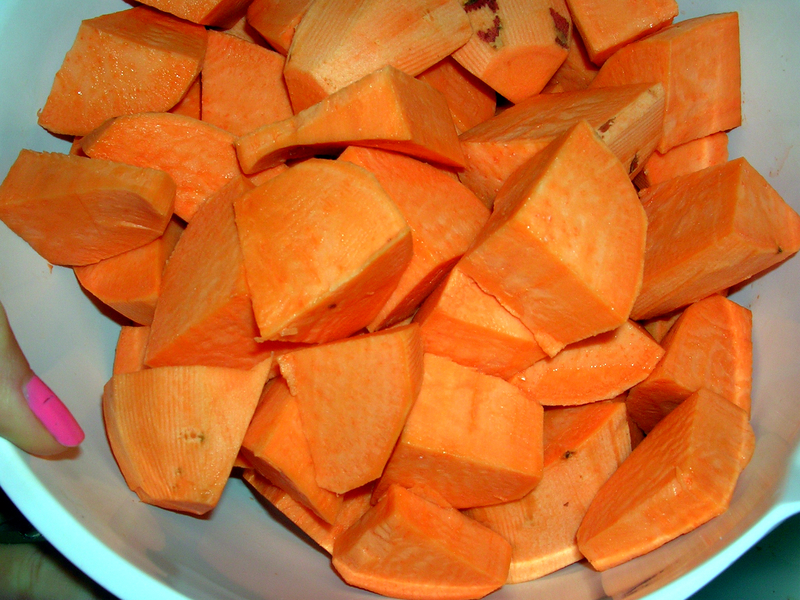 I’m not just saying that because I happen to love sweet potatoes… These beautiful, orange tubers are known for being packed with vitamins A and C and as a great source of complex carbohydrates. Not to mention they taste great just about any way you prepare them! 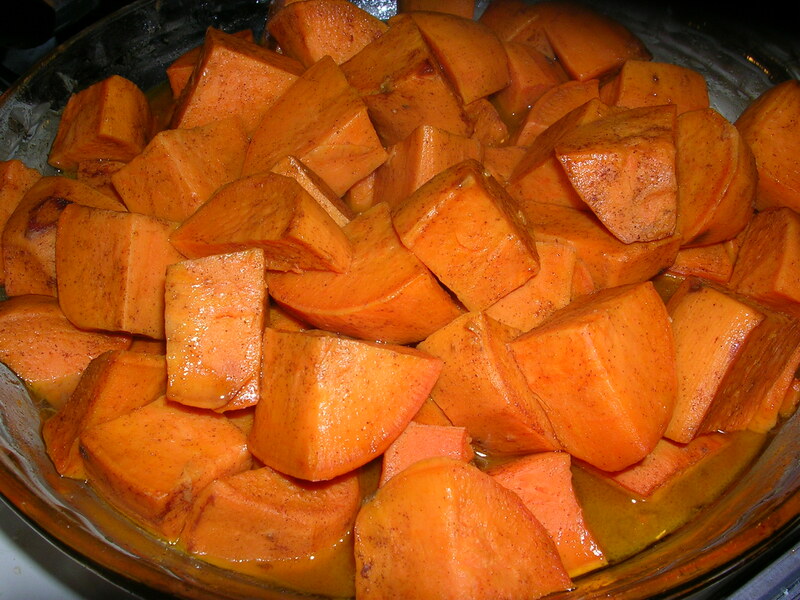 For Thanksgiving this year, I made some Maple Roasted Sweet Potatoes a la Eating Well Magazine. Let me tell you this: they were delicious! I plan on making them again very soon…after all, everyone could use some dense, hearty vegetables this time of year! 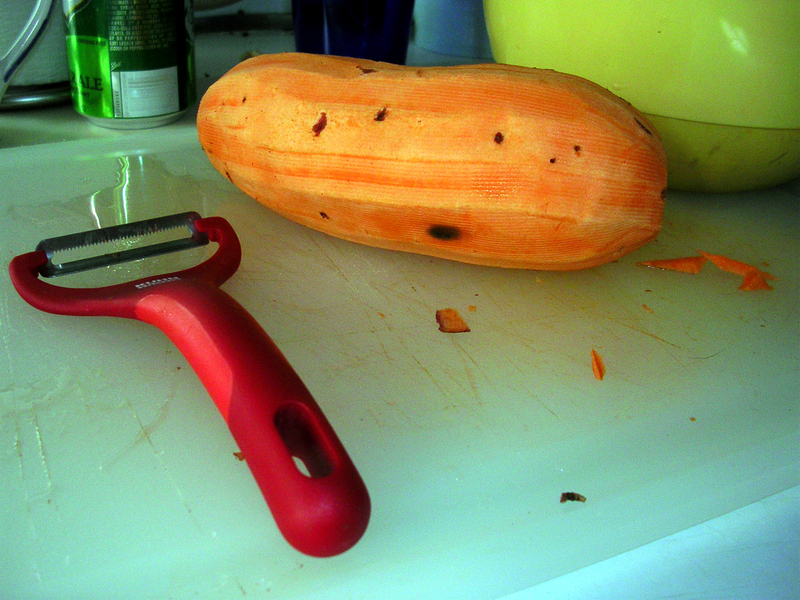 First, I peeled my sweet potatoes using my trusty potato peeler. I have to say, this vegetable peeler could quite possibly be the best, most useful piece of kitchen equipment I have. 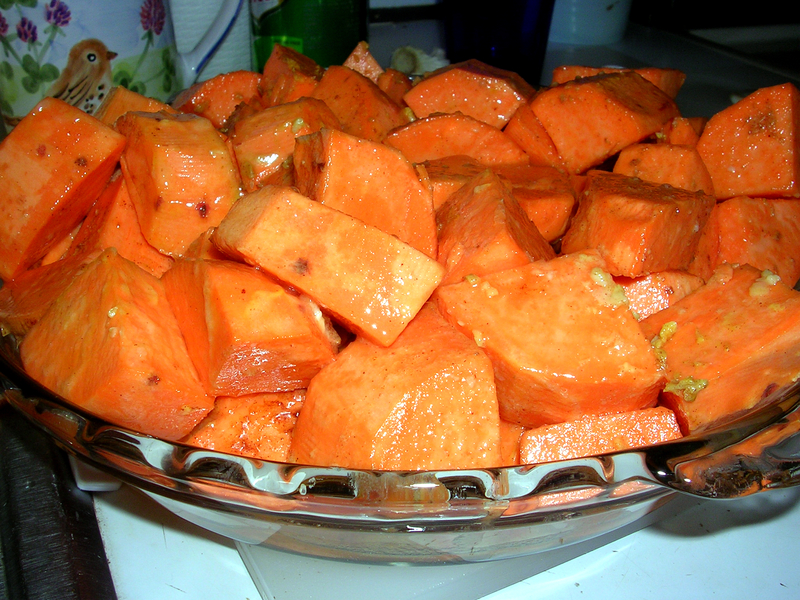 Then, I chopped the sweet potatoes into 1/2 inch cubes and placed in a large mixing bowl. and made sure that they were thoroughly coated. and baked them at 400 degrees for 50 minutes, stirring every 15 minutes. 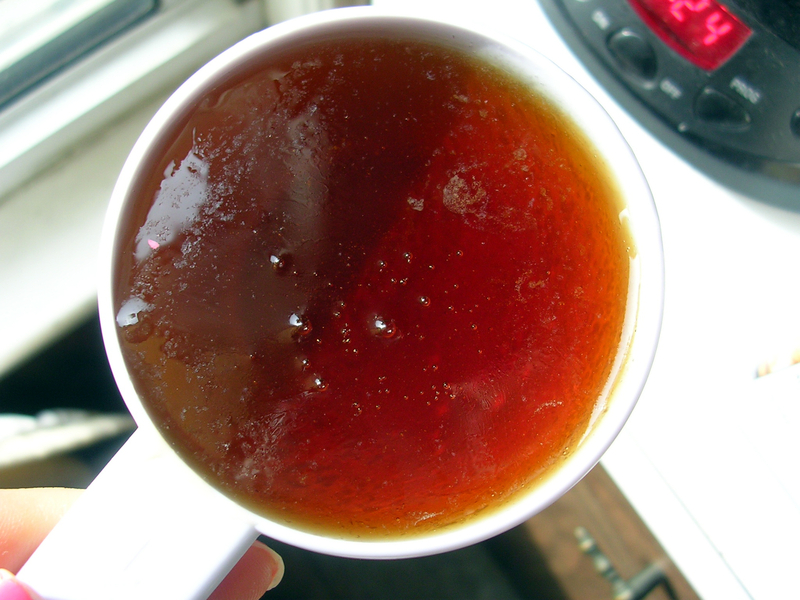 Have you noticed that everything I make tends to look the same? The potatoes came out perfectly soft and sweet! 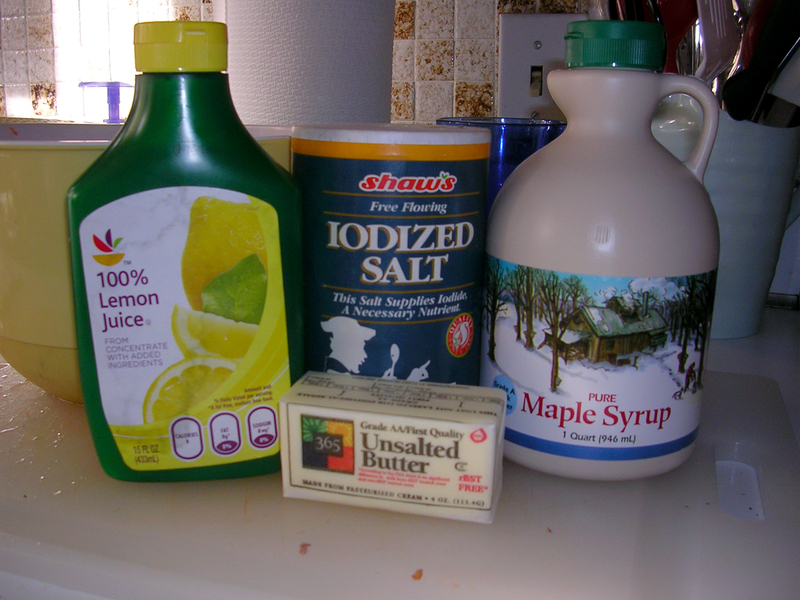 When I make these again, I’m going to use less maple syrup– the natural sweetness of the potatoes is probably just enough. 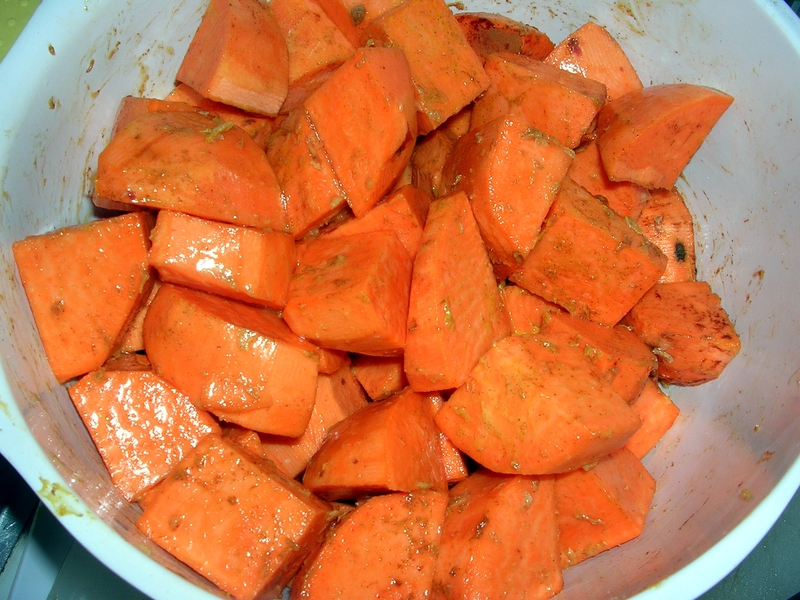 I might also add some other root veggies to the mix– perhaps parsnips, turnips or carrots. How have you been preparing your root veggies this season? Don’t forget to sign up for my newsletter! It’s going to be great! I guarantee it! I am always such a salad person but I tried a roasted root veggie (carrots, parsnips, sweet potato & butternut squash) dish with rosemary, pepper, sea salt and olive oil. It was SO SO SO good! I think I see many more roasted veggies in my future! Dear Allison- these potaters will definitely find their way to my Thanksgiving table. THANKS!! !